A beautiful view from the Islay ferry arriving for Port Askaig. 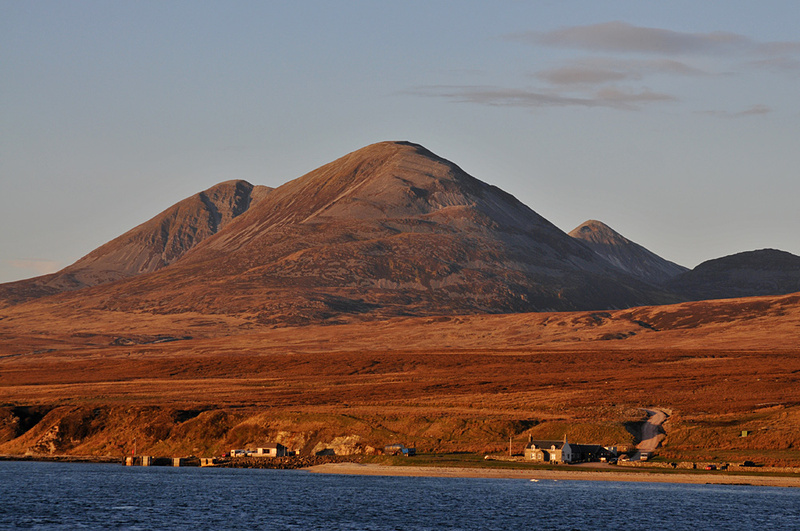 The Paps of Jura (left to right: Beinn an Oir, Beinn a’Chalois, Beinn Shiantaidh) in some mild evening light. Feolin with the Jura ferry slip on the shore below. This entry was posted in Landscape, Repost, Sunny Weather, Sunset and tagged Beinn a'Chaolais, Beinn an Oir, Beinn Shiantaidh, Feolin, Jura, Paps of Jura, Sound of Islay by Armin Grewe. Bookmark the permalink.